Should Western navies raid Somali pirate nests? Referring to U.S. and European history in the fight against pirates, though, is a good way to bring up old antagonisms. The pirate problem 300 years ago looked awfully familiar. Vessels from an Islamic part of Africa (Algiers, Tripoli) patrolled a choke-point in world trade (the Strait of Gibraltar) and grew rich on the ransoms their leaders commanded for sailors. Western countries learned to pay tributes to these pirate states for “protection” in the Mediterranean. By 1800, some American politicians wanted to raid North African shores and whack the “nests of banditti” instead of paying tributes and ransom. They won’t. The pirate war isn’t hot enough. In this sense the Western navies are quite aware of their history. One nasty aspect of the old North African pirate trade was that deys and bashaws put their Christian hostages to work as slaves. Somali pirates are kinder and gentler than that: They just want money, and money is one thing the West can provide. The Somali refugees living in a small meatpacking town in southwestern Kansas loved America. So did the three men who wanted to kill them. A story about a bomb plot in the Heartland. As people shopped for groceries at an open-air market on New Year’s Eve in the Indonesian coastal town of Palu, a homemade bomb loaded with nails killed at least eight people and ripped apart a kiosk selling pork. Inside the East African migrant corridor, where Somalis (and others) escape to Europe, former pirate financiers are also busy. Berlin’s Litfass columns and the Nazis: a brief history of anti-clutter campaigns. The big surprise last week during the Berlin Film Festival was a disastrous premiere for a long-awaited feature film, Jud Süß — Rise and Fall, by a talented German director named Oskar Roehler. About a surf pioneer from the author’s hometown, excerpted from Sweetness and Blood. Americans live on what amounts to an enormous island, defended on two shores by the sea, and we’ve evolved a few marsupial traditions that nobody else understands. The morning was clear and cold, with frost on the church steeple and the cemetery grass. I had a quick English breakfast at a white-cloth table, in my wetsuit, and drove to Newnham, a village on the Severn River in Gloucestershire, parking near the White Hart Inn. What if technology makes reading old-fashioned? I’d packed the car lightly — a bag of clothes, a bag of cassette tapes, a backpack of books, a few essential tools. True story about a bomb threat aboard a United flight in the months before 9/11. 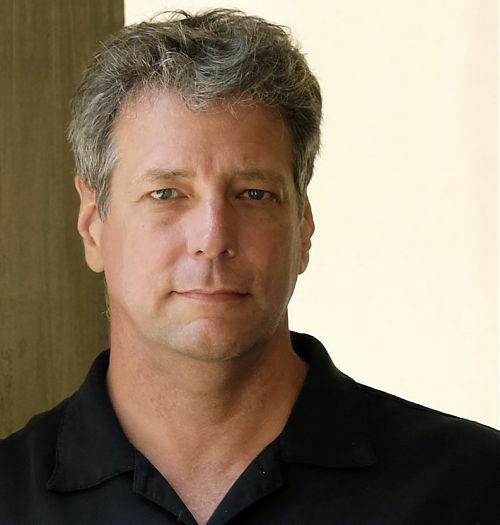 Michael Scott Moore is a journalist and a novelist, author of a comic novel about L.A., Too Much of Nothing, as well as a travel book about surfing, Sweetness and Blood, which was named a best book of 2010 by The Economist. He’s won Fulbright, Logan, and Pulitzer Center grants for his nonfiction, and a MacDowell Colony fellowship for his fiction. 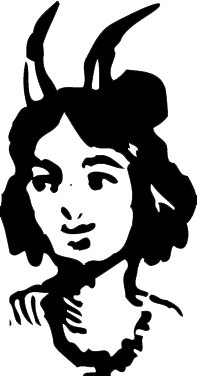 He worked for several years as an editor and writer at Spiegel Online in Berlin. He was kidnapped in early 2012 on a reporting trip to Somalia and held hostage by pirates for 32 months. The Desert and the Sea, a memoir about that ordeal, is out now from HarperCollins. My review of Ingrid Betancourt's first novel, The Blue Line, is up at the Los Angeles Review of Books. 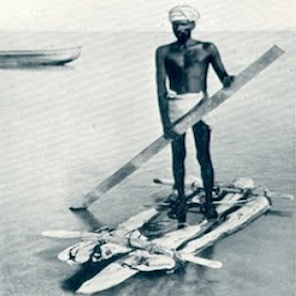 While I was in Somalia a man called Geoff Carter wrote about a picture of Indian men surfing on stand-up boards around 1800 off Chennai, which altered the known history of surfing a bit, even though the picture was hiding in plain sight at the Australian National Maritime Museum. The men from the Naham 3 are all friends of mine — a crew of 26 sailors from southeast Asia who worked on a tuna long-liner flagged in Oman but owned by a company in Taiwan, which abandoned them after Somali pirates hijacked the ship in 2012. A version of what happened in Somalia is available as a Long Read at The Guardian, and, in somewhat shorter form, for German readers, in Der Spiegel. It’s not even near complete. Enormous parts of the story have been left untold.